Is Michael Pineda a true ace? There is little denying the fact that Michael Pineda has been the best pitcher in the New York Yankees rotation this season. He might have been the best pitcher during his time with the club last season as well. Being the best surrounded by mediocrity might make one the staff ace, but does not necessarily qualify one as a “true ace.” Is Pineda ready to be that type of pitcher? By my definition there is a difference to being the ace of a staff and a true ace. One can be the ace of the staff yet fail to mark the following check boxes which elevate their status to elite starters. A true ace is one who would take over the top rotation position (or at least share it with another true ace) if placed on any team in the league. A true ace is not just a pitcher who wins the most games on the team. He’s the pitcher that stops losing streaks. He’s the pitcher that keeps winning streaks going. He puts together long personal winning streaks. He’s the pitcher who adds value to each of his starts. He provides length in terms of number of innings pitched per start each time out. He dominates opposing teams, and doesn’t throw clunkers every four starts. He stays on the mound the entire season. This is no knock on Pineda, but how many of these measures does he fulfill on a regular basis? He can be dominating as evidenced by his 16-strikeout performance May 10. But, he can also throw a dud, just like he did following that outstanding start (May 15 - five runs on 10 hits). He did put together a five-game winning streak, but he misses the mark elsewhere. 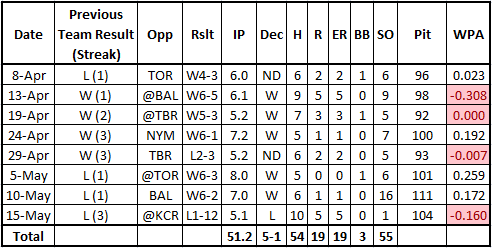 Here is a breakdown of Pineda’s starts this season. Fair warning, this is going to seem like nitpicking to many, but understand the exercise is to show that Pineda has some work to do in order to be considered elite or a “true ace.” In no way am I suggesting he’s done a poor job this season. I simply believe he is getting more credit than he deserves because he is being compared to complete inconsistency among fellow Yankees starters. Pineda does have three dominating performances to his credit. But notice, he’s pitched after a loss four times and won two of those games. He’s only pitched after an actual losing streak once, and lost. Within the chart is a column WPA (Win Probability Added) which denotes how much of an influence Pineda had over the outcome of the game. It is read as you would suspect, positive for helping the outcome and negative for hurting the outcome. He’s actually provided benefit to just half of his eight starts this season (0.00 would indicate no influence). Last season he added value to nine of 13 starts. Pineda needs to last longer on the mound. It is imperative for the ace of the club to give tons of innings. Pineda is averaging 6.4 innings per start. He needs to make that gravitate toward 7.0 innings per start to jump to the next level. Pineda must limit the number of poor outings he throws. He’s got two in eight starts this season. That’s one every four starts which is far from true ace material. He was lucky to grab a win in one of those games. Finally, Pineda has to prove he can survive a full season without being injured. An ace starts 30+ games year after year. Pineda has surpassed 20 once, back in 2011. Where Pineda is dominant is in the strikezone as shown by his 18.33 K/BB ratio this season. In 2014, the ratio was 8.43 which is still superior. This ability strikeout batters while limiting walks shows Pineda has the makings to become a “true” ace. He simply needs to build on this. I’m not suggesting Pineda has pitched poorly this season; he’s been pretty good, again the best on the team. But, being the best pitcher of a rotation filled with inconsistent arms (outside of Masahiro Tanaka who is hard to quantify because he has been hurt) does not make one a true ace in my book. Pineda needs to elevate his game over the course of a full season to be considered among the elite pitchers in the sport. The quest begins Friday when he is given another chance to erase a three-game losing streak. Can HE provide the effect to do it? Any “true ace” would. 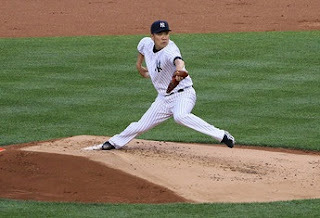 The New York Yankees received some good and then bad news concerning their starting pitchers on the disabled list. Masahiro Tanaka came out of Monday’s 29-pitch bullpen session without any issues and could begin a rehab assignment later this week while Ivan Nova is move one step closer to appearing in some minor league games. Unfortunately, the bad news was that Chase Whitley will be undergoing Tommy John surgery Tuesday. With both Tanaka and Nova set to begin rehab assignments, the blow of losing Whitley does not really sting so much. Let’s face it, Whitley ranks about eighth when all Yankees’ starters are healthy (at least in the club’s eyes). And worse for Whitley, he will likely be pushed way back in the Yankees’ depth chart by the time he is ready to return (at best next June and at worst the 2017 season). Tanaka might need just one rehab outing, but if rusty he could be sent for a second. Nova will be on a 30-day assignment in order to take the time to readjust to “real” game action. Nova has been pitching in extended spring training games thus far. Tanaka could pitch Thursday, while Nova’s first start is still up in the air. Assuming there are no setbacks, Tanaka could be back by the end of the month and Nova by the latter part of June. The Yankees will need to make some decisions with Adam Warren and Chris Capuano upon each of the injured players returning to the fold. Warren has been up and down so far this season as a starter, and the Yankees could slide him into an important setup role right away if they wanted. Capuano just made his first start of the season Sunday, and was quite unimpressive. If Michael Pineda, CC Sabathia and Nathan Eovaldi remain healthy and effective, there is no chance Warren and Capuano remain in the rotation when Tanaka and then Nova are back in the mix. Warren could have a defined role, but Capuano might be subjugated to long relief and/or mop up duty. Moving Warren and Capuano into the bullpen would require two transactions with David Carpenter, Esmil Rogers or Chasen Shreve among the players in danger of being designated for assignment or optioned down to the minors. The Yankees' rotation depth has been tested to date. If all remains on course, they'll have a welcome problem on their hands over the next month with excess rotation arms. Are the Yankees’ offseason trades working out? The New York Yankees made three trades leading up to the 2015 season. Let’s take a look and see how they have worked out for the club thus far? The Yankees believed they had plenty of depth among catchers in their system making Cervelli expendable and wanted a lefty reliever who could also handle batters from both sides of the plate. What you see from Cervelli is more or less what he has always has been. He gets on base often enough, but there is little power to go along with it. He’s a defensive-minded catcher. That said he is currently under league-average (29 percent) in caught-stealing rate for catchers. Wilson has not been given as big of a role as anticipated and that might be because he has had big-time control issues. That is nothing new as the lefty has a career walk-rate of 4.0 BB/9. He’ll have reign in the walks if he is to become an impact reliever for the Yankees. As a whole the trade is fine for the Yankees as John Ryan Murphy has filled in admirably for the Yankees and Wilson came with minimal cost and still has the potential to be a factor at the backend of the bullpen leading up to Dellin Betances and Andrew Miller. Trade: As part of three-team trade, RH starter Shane Greene sent to Detroit Tigers; SS Didi Gregorius to Yankees via Arizona Diamondbacks. The thought with Gregorius was to solidify the middle infield with an above-average fielder and hope that his bat would come along in time. The Yankees liked Greene, but felt they had enough depth and similar pitchers in the minor leagues to make up for losing a surprising piece of the 2014 season. Greene came out of the gate on fire allowing just one earned run in his first 23 innings. He’s since allowed 21 in 19 innings. Gregorius is hitting worse than he did with Arizona last season and looks like he is trying to do too much at the plate. Fortunately, as shown by his UZR/150 rating via FanGraphs, Gregorius has been very good in the field. The argument about who "won" this trade could go on for a while as both players are relatively young. Again, the Yankees traded from an area of depth to fill a huge area of need. With Derek Jeter retired, the best shortstop prospect in the Yankees’ organization is Jorge Mateo who is playing in Low-A ball in Charleston. The Yankees wanted a longer term solution to the middle part of their rotation and believed Eovaldi was a better answer than Phelps. They also figured that Prado’s two remaining seasons on his contract would inhibit their ability to get Jose Pirela and/or Rob Refsnyder playing time in 2016, thus signing Stephen Drew to a one-year deal. The Yankees also received a bonafide first baseman to back up Mark Teixeira, something the club went without in 2014 and suffered for it. This one is not favoring the Yankees as of now and it might take some time for that to happen. Phelps has been pretty good, though the low K/9 and high BB/9 show there is a chance for issues to develop. He provided glimpses of this kind of production while with the Yankees and yet always seemed to give it all away as the season progressed. Prado racked up a 144 OPS+ in his short stint with the Yankees last season (137 PA), but his work in Miami has resembled more of what he produced in Arizona last season across 436 plate appearances (91 OPS+). He is surely outhitting Stephen Drew (who isn’t – oh wait – Gregorius), but again the extra year on Prado’s deal might have been considered an impediment in 2016, though the Yankees could have tried to trade him this coming offseason just the same. German is out of commission for a while and we can throw Jones’ production out the discussion. Jones was a filler piece and he still might become valuable to the Yankees especially if Mark Teixeira suffers a long-term injury. He certainly has not received ample plate appearances to pass any judgment. As for Eovaldi, he’s obviously the main piece of the deal for the Yankees now and they hope for the future. He came to spring camp early to work with Yankees pitching coach Larry Rothschild on developing his ancillary pitches and to better locate his high-power fastball. The results are slow to come. Eovaldi is still not striking out nearly as many batters as one would expect from a pitcher who throws consistently in the mid-90s and can reach 98 mph. He is allowing way too many hits; something that plagued him in 2014 when he led the league with 223 hits allowed in 199.2 innings. This season he’s allowed 50 hits already which is a higher clip than last season (10.9 H/9 versus 10.1 H/9). Eovaldi is a work in progress, one which will take more than a season to develop. Stay tuned. In conclusion, the Yankees are not necessarily winning any of these trades as of now, but I wouldn’t say that any of them are biting them either. Only Greene worries me (and it’s an incredibly slight concern) as far as a player who could excel in the future. The Yankees sent nothing of extreme value to any of the teams and received three players who are controllable and could make a difference in the long run. On their face the trades have not been fruitful yet, but given time there is a chance that each of them pays off to some degree. Adam Warren makes case to stick in Yankees’ rotation; will he? New York Yankees starter Adam Warren got off to a rocky start in Wednesday’s 3-2 loss to the Tampa Bay Rays at Tropicana Field. He allowed all three runs in the first two innings, coughing up an early 2-0 Yankees’ lead. It certainly looked as though the writing was on the wall for Warren’s future in the rotation considering the return of Chris Capuano from the disabled list in the coming days. Warren has been fairly inconsistent in his turns through the rotation over the season’s first several weeks. Wednesday was no different, but it leaned toward better in the end. Warren brushed aside the first two frames and tossed five scoreless thereafter keeping the Yankees close. It was Warren’s longest start of his career and he managed to strikeout a career-high seven batters in the process. So, if the Yankees have not already made up their minds about who was being sent to the bullpen and who was being sent down to Triple-A Scranton/Wilkes-Barre, Warren did not make things any easier. Had Warren continued to get blown out, it might have been easier for them to say Warren is best suited in the bullpen where they could use someone who has lock-down potential and can last more than an inning if needed. But, Warren showed great resolve in getting through those last five innings. He proved he can economize his pitches (he tossed just 94 in the outing) and last through the seventh. His longest stint this season before Wednesday was 5.2 innings. Perhaps it is up to Chase Whitley’s performance in Thursday’s series finale against the Rays? If Whitley excels, they might want to keep him in New York and remain in the rotation. They can send Branden Pinder back to SWB and move Warren to the bullpen. Of Warren, Whitley and Capuano, Warren makes the most sense in a bullpen role considered the style of pitcher he can be in that circumstance. But, if Whitley is awful, the Yanks could send him down to Triple-A to stay stretched out and keep Pinder, or make two moves by sending him down as well to bring up a different reliever. For what it’s worth, I’m of the volition that Warren is best served in the bullpen right now. I do believe Warren can be a solid back of the rotation starter, but I sense that he’d be an even better setup man as evidenced by his last couple seasons in the role. And that's what the Yankees need at this time. With David Carpenter struggling and Chris Martin on the disabled list, the Yankees could use someone like Warren to bridge the gap to Dellin Betances and Andrew Miller. It would also give manager Joe Girardi the option of using Warren for more than three outs so Betances (or Miller) would not have to extend themselves past one inning of work. Further, should Capuano and everyone else in the rotation remain healthy, Masahiro Tanaka and Ivan Nova are due back sometime in June which would like push Warren out of the rotation anyway. Why not get him settled into the relief groove now? He surely wouldn’t be considered a rotation option if everyone is healthy. How do you think the Yankees should move forward? Let me know in the comments below. The original sentiment about the 2015 New York Yankees was that they were not very good, and worse boring. Due to not reaching the postseason the last couple of seasons, there was little excitement for the fans beyond the long and drawn out celebrations of Mariano Rivera’s and Derek Jeter’s retirements. So far this season, it seems different. I wouldn’t suggest this is a collection of the most electrifying players in the sport, but there are several players who can ignite enthusiasm for Yankees fans. It’s true the Yankees are in first-place and that brings its own thrill to the game, especially when many were counting the Yankees out. Optimism grows with every ballgame they win and each series they claim. But beyond winning, there has been a show of camaraderie and it goes beyond growing mustaches. The Yankees have been brought together by three things this season; above all winning, a growth of mustaches (some better than others) and the most charismatic and notorious player on the team, Alex Rodriguez. After a rough 1-4 start, the Yankees have gone 17-7 and they’ve received contributions from plenty of players, but Rodriguez certainly leads the way as "must see" at this point. He passed Willie Mays on the all-time home run list Thursday (after being robbed of another homer) and he’s been nothing but baseball focused all season. Rodriguez has seven home runs on the season and is second on the team in RBI (18) and OPS (.883). When he comes to the plate with a chance to give the Yankees a tie or take the lead, he is once again revered by the fans and feared by opposing pitchers. There is a feeling that he can come through, something few (even his fans) might have expected. Rodriguez has won over many fans (yes, there are still detractors), even receiving a loud curtain call after surpassing Mays. Rodriguez’s performance is a big part of his support, but some fans were on A-Rod’s side from the beginning with the sympathetic angle that he was being abused by the Yankees. Either way, he’s getting curtain calls and he’s cheered in crucial spots of the game. He brings some drama to each at-bat. And maybe more importantly, A-Rod has given the players in the clubhouse someone to rally around. A-Rod couldn't drive in runs without some catalysts, and the Yankees have two of the best. The top of the order combination of Jacoby Ellsbury and Brett Gardner has been electric this season. Ellsbury is scorching hot right now (21-for-42 with 7 SB during his current 10-game hitting streak) and Gardner is not far behind him (13-for-36 with 9 RBI in his last 10 games). It was a question at the beginning of the season as to who would be better suited for the leadoff spot, and once it was established it would be Ellsbury, whether Gardner would settle in as the number-two hitter. Besides their obvious success at the plate and on the bases, each has played stellar defense in the outfield. One hitter has regained some flashbulb highlights and that’s a healthy, gluten-free, Mark Teixeira. Teixeira leads the club with 10 home runs, 25 RBI and a .951 OPS. Teixeira might not hit above .250 again due to the defensive shift he refuses to avoid, but if he can reach 30 home runs and 100 RBI, the Yankees will be ecstatic. He’s well on the way to those numbers. Teixeira is once again a potent bat in the heart of the lineup and like A-Rod, if the game is on the line, the Yankees' first baseman has shown he can deliver. The last hitter in the group, Chris Young, is someone the Yankees took a flyer on last September and paid immediate dividends. He continues to provide the Yankees with excellent production off the bench or as an occasional starter as he’s received plenty of at-bats due to the struggles of Carlos Beltran. Part of Young's allure is the that he was written off, yet has provided the Yankees with plenty of big hits. On the mound, with Masahiro Tanaka and his dominant splitter on the shelf, Michael Pineda has taken center stage and he owns it. “Big Mike” is a mammoth presence on the mound and has a swagger about him as he goes about his business. He is an absolute marksman with his pitches, striking out 38 batters and walking just three in 39 innings of work. 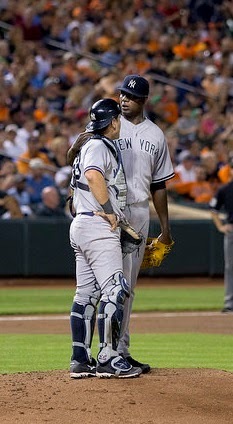 With a 4-0 record and 2.97 ERA thus far, Pineda is well on his way to claiming the role of ace for the Yankees. Finally, at the backend of the bullpen are two of the best relief arms in the business. Dellin Betances and Andrew Miller are making opposing hitters look foolish and racking up serious consideration for All-Star appearances. Check out these stats. Those are arcade game numbers. Both men feature blazing fastballs and each has off-speed offerings that freeze batters or make them flail wildly at pitches. Once the Yankees have a lead in the eighth inning (and the seventh inning on occasion), it is going to be tough for the other team to overcome. There you have it. Eight players (nine if you count Tanaka) who bring more to the table than run of the mill performances. Each player mentioned has highlight reel potential when the lights shine on them. There are others who will surely provide heroics and might catch fire along the way (Chase Headley and Brian McCann top the list) and there is always the potential for a call-up to supplant a veteran who might make some noise (Jose Pirela, who is already up; Rob Refsnyder and Jacob Lindgren come to mind). Cast aside the early-season notion that the Yankees are boring. They have star-power once again. If they keep on winning expect more popping flashbulbs when the focus is on the players currently leading the way. When the New York Yankees signed Chase Headley to a four-year, $52 million contract this past offseason, I was fairly happy with the deal. I, like the Yankees, have been a big fan of Headley’s and he proved he could handle playing in the Bronx after a midseason trade. There are not many switch-hitting third baseman with 15-homer power, a good on-base percentage and a fantastic glove. Chase Headley has had a rough start in field. While $52 million is a lot of money, it’s not difficult for a player to return value on that over the course of the contract. As it stands right now, Headley has a good deal of catching up to do. Through 27 games and 109 plate appearances, Headley looks more like the player the San Diego Padres vanquished last season than the man who showed up in the Bronx and made people relish in what he could do here over the course of a full season. Headley owns a .238/.294/.386 slash with three home runs and 10 RBI. He sports a wRC+ of 87 (100 is average) and has generated a measly 0.1 fWAR. 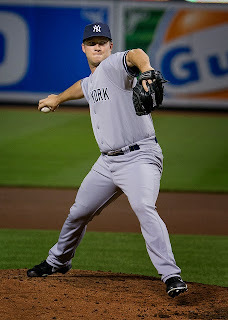 Headley strikes out; he always has. But he mixed in a fair number of walks keeping his on-base percentage at or above league-average. He was never as bad as his current 3.6 K/BB rate. It doesn’t seem to matter much as to which side of the plate Headley is hitting from either. He has a 5.1 percent walk rate versus left-handed pitchers and 7.1 percent against right-handed pitching. Well, his defense must be counting for something, you say? Sure, it’s counting against him. Headley’s gold glove is tarnishing for some reason. He’s committed seven errors on the season in only 85 chances. Last season, he made just eight errors in 319 chances. He is six errors short of tying his career-high of 13 which took 388 chances to attain. Clearly something is amiss with Headley. Is it the pressure of proving he was worth the commitment the Yankees made to him? Or is it something more? For the fielding, I’ll give Headley the benefit of the small sample size argument and guess he’ll tighten up his fielding issues. It is hard to do the same with his hitting when he was declining in San Diego since his monstrous 2012 season (31 home runs, 115 RBI, 17 SB and 145 wRC+). Since then he turned in a respectable 114 wRC+ in 2013, and then registered a 103 wRC+ in 2014 (90 in San Diego, 121 in New York). His walk rate in San Diego last season was 7.2 percent and it jumped to 12.9 percent with the Yankees. The Yankees surely thought they were getting the guy they saw for the second half of the season. More importantly they need him to produce at the end of the middle-third of the lineup. 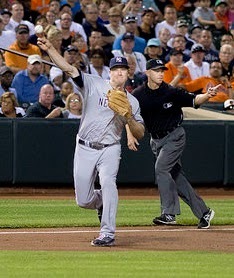 I believe Headley can get back on track, but it has to begin with him being more selective at the plate. He proved he still has it in him; as recently as last season. The strikeouts are going to come, but they cannot be at a pace over three and a half times greater than his walks. Until he reigns in that ratio, expect Headley to continue to falter at the plate. It’s been coming. 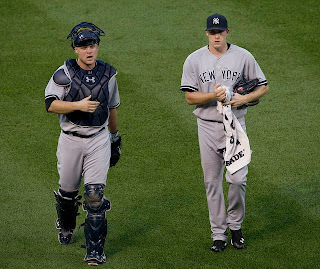 One just had to look at the big picture where it concerned the New York Yankees’ bullpen. The Yankees have been playing (and winning) a lot of close games, requiring a good deal of effort from the bullpen. Finally, the relief crew couldn’t get it done and Dellin Betances was handed his first blown save of the season despite not allowing an earned run in Monday night’s 3-1 loss to the Toronto Blue Jays. Chase Whitley (right) deserved better. It is unfortunate because Yankees' starter Chase Whitley hung tight with Jays’ knuckle-baller R.A. Dickey, leaving the game with a 1-0 lead after seven innings of work. Whitley was at 90 pitches on the night and didn’t seem to be tiring. But Yankees manager Joe Girardi felt that was Whitley’s limit. My question to Girardi is when will he allow Whitley to go to 95, 100+ pitches? He has to do it sometime. Getting through seven innings with 90 pitches is very economical and it is not going to fall out that way all the time. When it happens, Girardi needs to be ready to take advantage of it. Girardi stated he did not want to let Toronto get a fourth look at Whitley, but his starter had done just fine handling the Blue Jays’ top two men in the lineup (1-for-6). Allowing Whitley to try to navigate the first two outs of the eighth (Girardi suggested to reporters that’s all he wanted before handing the game to Betances) is really no different from bringing in Chris Martin who is being overused and is not a lockdown reliever. To that point, where is David Carpenter? This is the guy the Yankees traded for in the offseason who has late-inning experience. He’s been performing admirably (2.79 ERA, .161 BAA). But, Girardi has fallen in love with Martin, who has a good back story, but reality is he was a scrap-heap selection. Further, if Girardi is so concerned about the relievers’ workload, he needs to get more length out of the rotation when they are offering it. Whitley was doing that Monday night. There is nothing in the rule book that says if the team has a one-run lead in the seventh or eighth inning the manager has to use the bullpen. I understand the bullpen has been fantastic, but Girardi needs to start trusting the starters a bit more when they are reaching their limits. If he doesn’t allow his starters to go to their limit when the team is winning a game, they’ll never have the opportunity, and that perpetuates the excuse that the pitcher "hasn't done it before." Starters are no longer overworked in today’s game so occasionally asking them to break the 100-pitch mark shouldn't wear them down. But a bullpen can certainly get run down with overuse in a short time period. 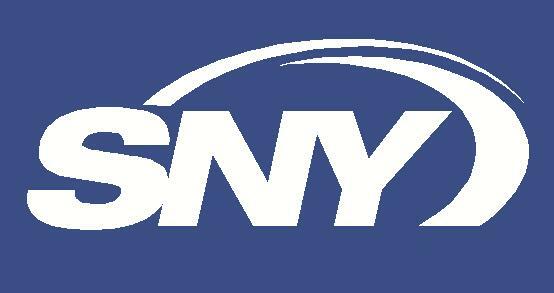 The Yankees are on the brink of that now, and Monday night’s loss showed they will not be able to save every ballgame. No one should imagine every lead in the late innings will be secured by the relief crew, but we can expect Girardi to expand the game with his rotation thus relieving some of the burden from his bullpen. He has to do it when the opportunity presents itself or else the relievers will be cooked by summer.